All Bone Broths Are Not Created Equal! 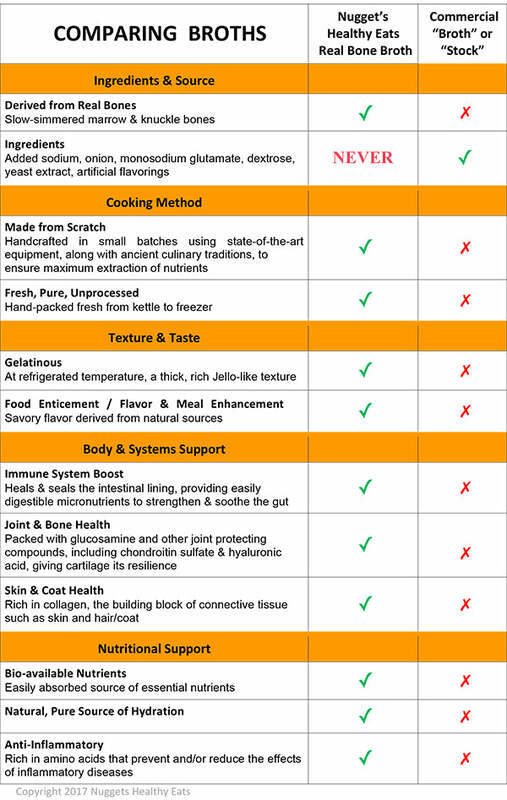 Real Bone Broth ≠ Highly Processed Commercial "Broth"
REAL bone broth should not be confused with today's commercially available stocks & broths on grocery store shelves. Most of the bone broth on the market today is made with poor quality ingredients. Most grocery store brands don't even use bones to make their broths. It’s important to know where the bones come from, what the animal was fed and how the broth is made. Real, traditional bone broth is made by slow-simmering the bones for days to extract amino acids, collagen, and minerals into the broth. Real bone broths are pretty "jiggly" (at refrigerated temp.) from all those nutrients, especially the collagen. 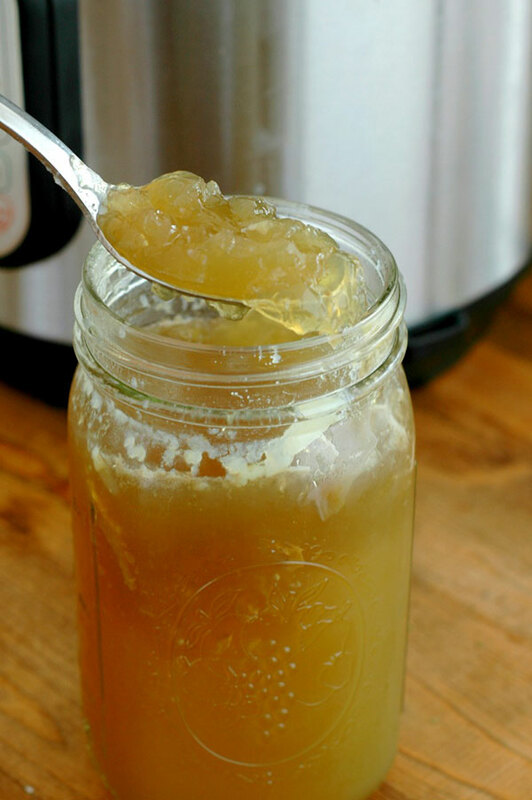 The purest bone broth cannot be stored at room temperature because it contains no preservatives and it has not been further processed to be shelf stable. Our Bone Brews are made the old fashioned way. 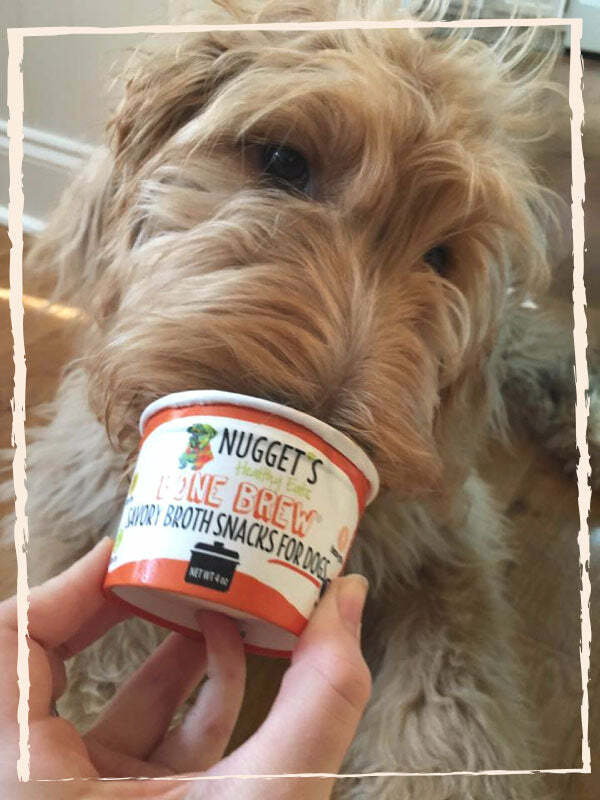 Why Nugget's bone broths?